Ask about a Veteran discount! I served 7 years in the Unites States Navy. I love when I hear from a fellow Veteran. Update July 2, 2018 - Great to hear from all the fellow veterans. It is awesome. Keep it coming. For those staying in peak period (Jan/Feb/Mar) the check in day should be a Saturday. 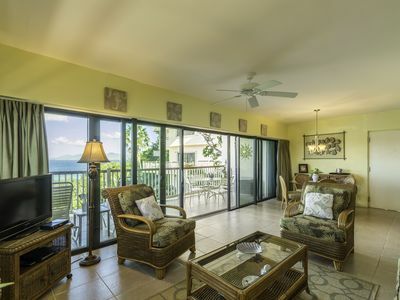 For 50+ five star reviews check out our sister condo at Sapphire Beach - vrbo# 260099. Welcome to Sapphire Beach Resort and Marina. These are individually owned condos. And while the name says "resort" we lack most all the amenities that you would find at a typical resort. 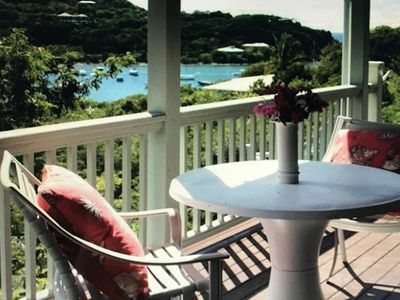 For example, there is not a restaurant on site, no spa, no tennis, no cabana boy....but you do get to be in a condo that is closest to the beach in all of St Thomas. 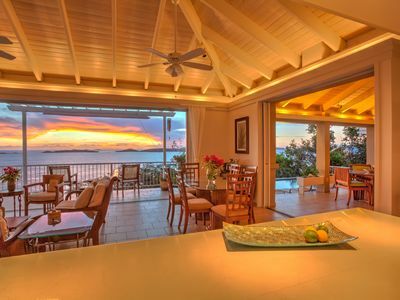 You are literally step to the beach with an awesome unobstructed view and the sunrise over St John is unbelievable. There is a beach bar on site now, it is on the other side of the complex. There is a pool, and while the pool is clean and in a wonderful location, the attached bar/restaurant is no longer active and was boarded up a few years back. 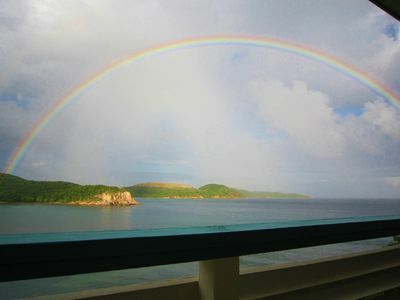 For more pics and a travel guide on Sapphire Beach and Beachtacular! 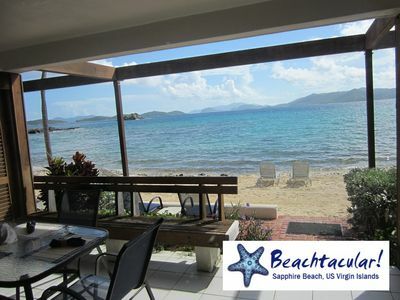 You can access my web site by searching "Beachtacular" or "Rent Sapphire Beach" on any major search engine. Most all questions you may have can be answered in the travel/vacation guide that is published on my web site. 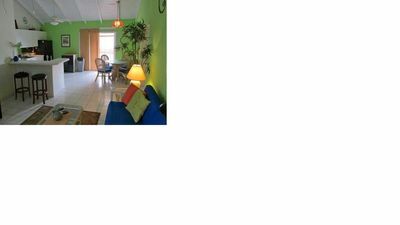 VRBO now hides links (and emails) but the web site is rent sapphire beach, no spaces and with the com. 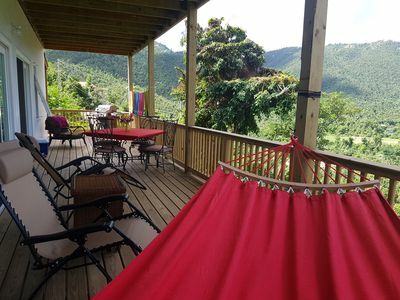 The travel/vacation guide is 10 pages of very useful information that is a must read for those that are new to the US Virgin Islands and Sapphire Beach. 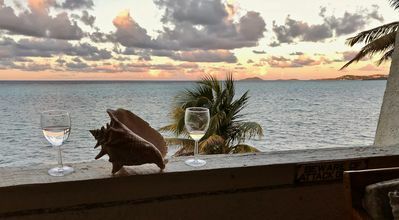 Building E has wonderful views of the sunrise; you will love waking up each morning to a beachtacular sunrise whether in bed, or on the patio, simply amazing! 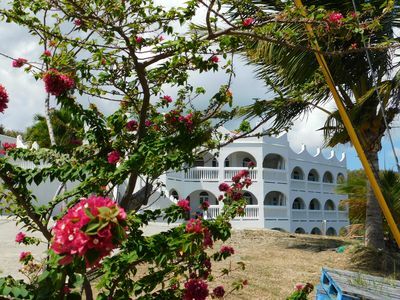 This beach front one bedroom condo is on the ground floor at Sapphire Beach. 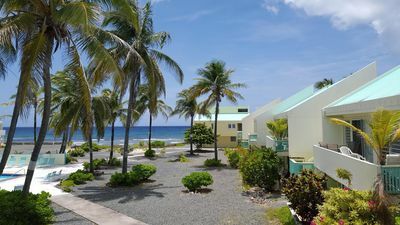 The patio steps onto the white sandy beach (its a little rocky as you enter the water, so either bring water shoes or walk to the other side of the complex for snorkeling). Our ground floor building E beach front suite offers a king bed plus a full-size pullout sofa bed. 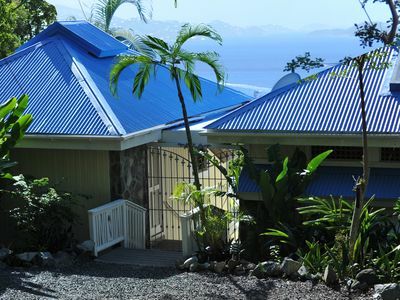 The suite includes a bedroom area, sitting area with cable and TV, new kitchen with new appliances including convection-microwave oven, tile bathroom with tub, shower and double sinks. 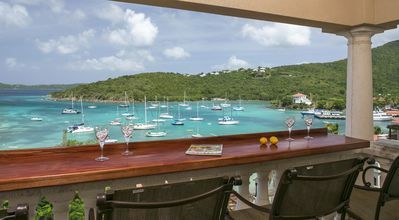 The private patio looks out to beautiful St. John. Beautiful! 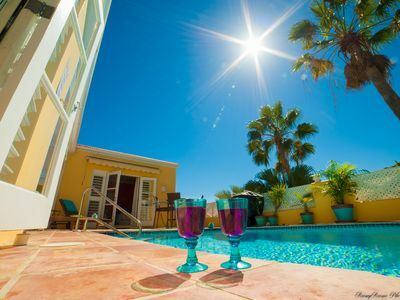 Listen to the gentle waves in the background as you dine on your patio or relax in your comfortable accommodations. 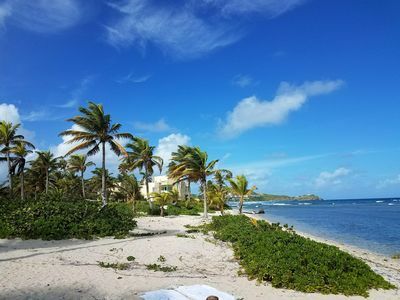 Sapphire Beach is the best beach on St. Thomas - great snorkeling!! Beachtacular! has a George Foreman grill. 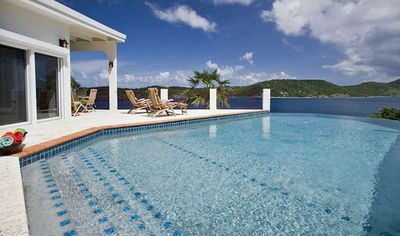 Sapphire Beach does not allow for charcoal or gas grills on the property. Contact us for availability. We would love to have you! 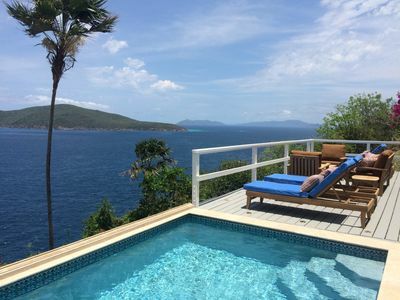 Best-Priced 2BR Villa on St. John with Ocean View and Pool! Newly renovated kitchen! 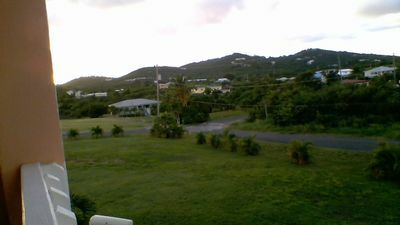 Private cottage in great location with path to beach. 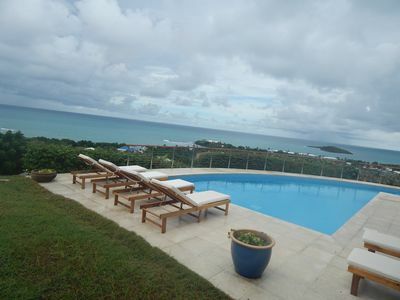 Expansive views, recently on House Hunters Intl. Wow what a year! 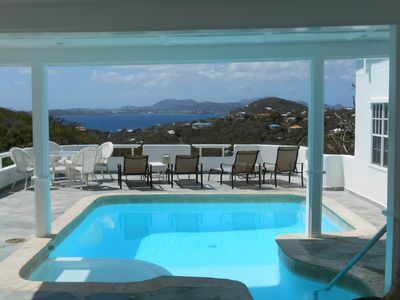 Aquamare at Grande Bay- Luxury 2 bedroom condo with Unobstructed Sea Views! 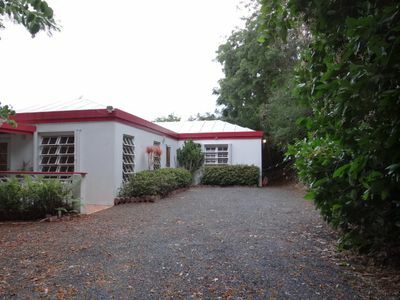 Large Apartment in Quiet Mid-Island location 10 mins from anything. Beautiful condo ON THE BEACH. 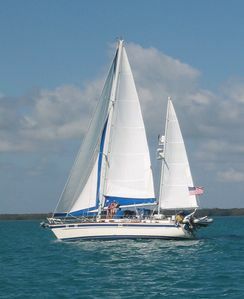 Enjoy amazing views and the cool ocean breeze.